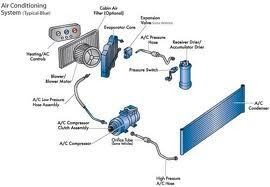 HVAC training is one of the careers that have emerged to be stable and profitable despite the ill effects of recession. Since HVAC technicians work with the general maintenance of heating and air conditioning equipment which are essential in many homes, buildings and facilities, they have a greater chance of finding steady work and clients whether they choose to go freelance or work with a company. California is home to a great number of training colleges and community colleges that offer Associate and Certificate degrees in HVAC training. These colleges will offer training programs that typically last two years, and will be divided between lecture hours and hands on training hours. Many colleges will ask students to undergo an internship for a specified period of time in order to cull more experience from a real job setting, as well as for students to see what the job really entails. The internship is also an important factor, as students can start building relationships with employers and/or clients that may prove to be beneficial once they graduated. Classroom hours on the other hand are composed of lectures that cover all the facets of being a HVAC technician , from installation to maintenance and repair, to client relations and upgrades. Many schools will offer career advice to help students find the best job setting for them. They may also assist their graduates in applying for licensing and certification from the state board to practice their profession legally. The following schools have HVAC courses that will benefit anyone looking to make this a full-time career. This college offers two types of HVAC certificate degrees. Well-known, reputable and accessible, it is one of the top choices of students for training centers or further studies. ELA center offers several HVAC training courses, each specializing in one aspect. 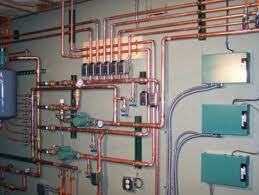 It has electrical, heating, ventilation and plumbing courses for interested students. Tuition fees are affordable and courses vary from 1 to 2 years in length.